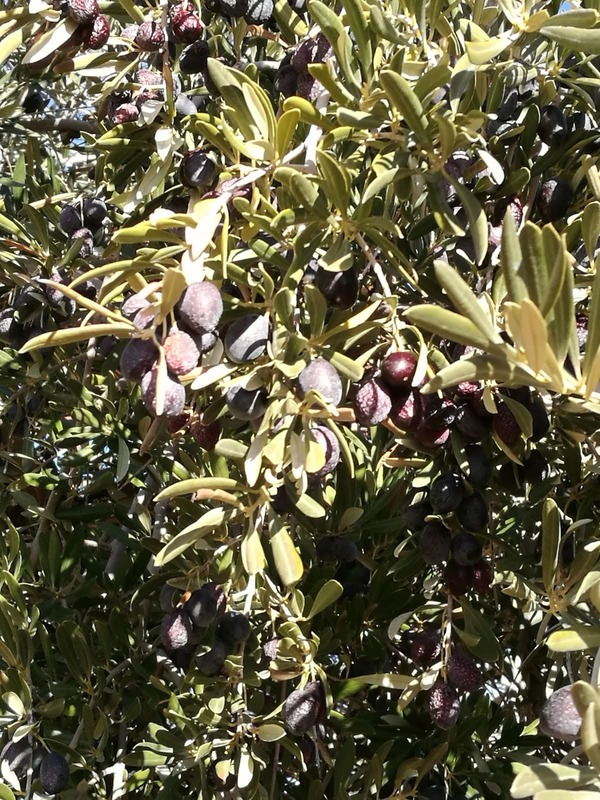 A few weeks ago, we spoke about our poor olive harvesting of last year. 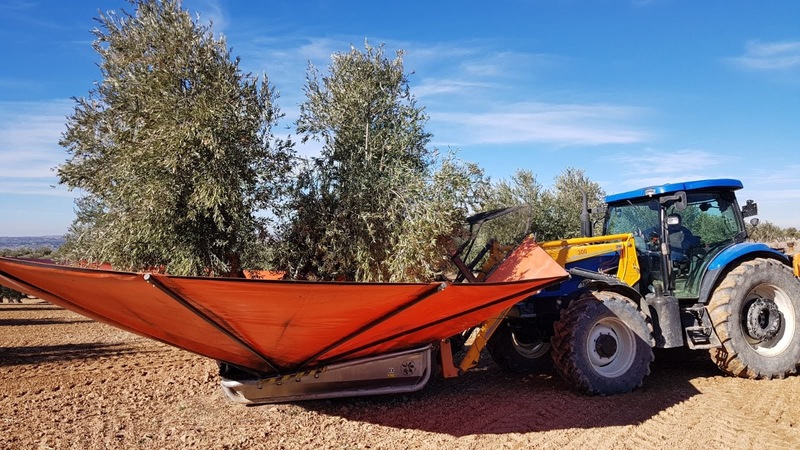 Also, we showed you a video where you can see our tool to harvest olives and we commented about our new olives tree fields where we are going to use a full mechanical harvesting method. 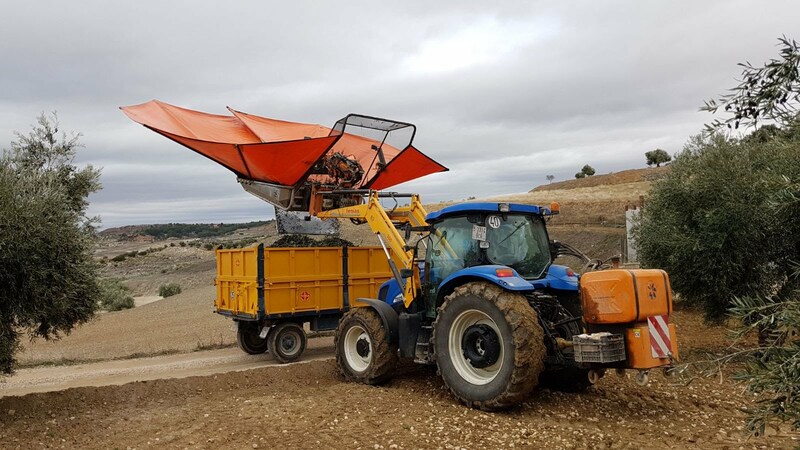 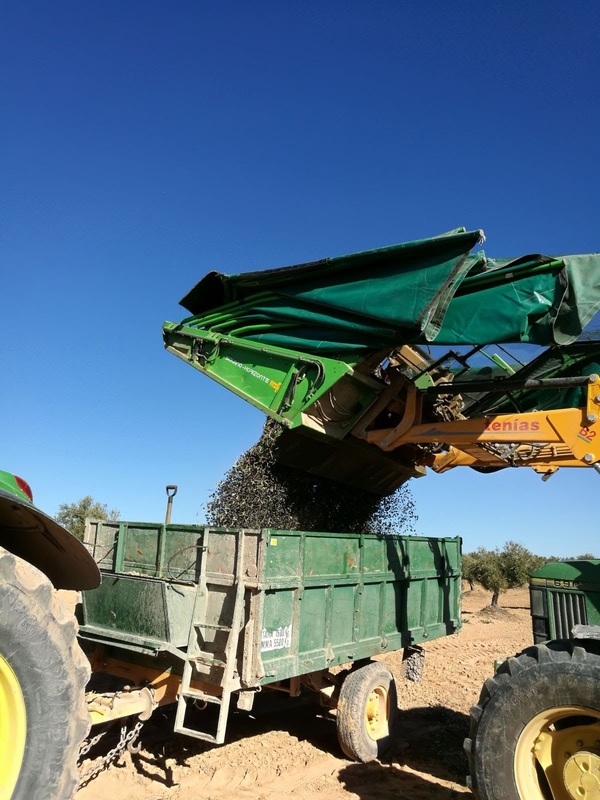 Therefore, we are taking the advantage of some pictures that sent our friends Miguel Ángel (from Chinchon village) and Alberto (from Yebra village) to publish more information about this type of tool and mechanical harvesting method. 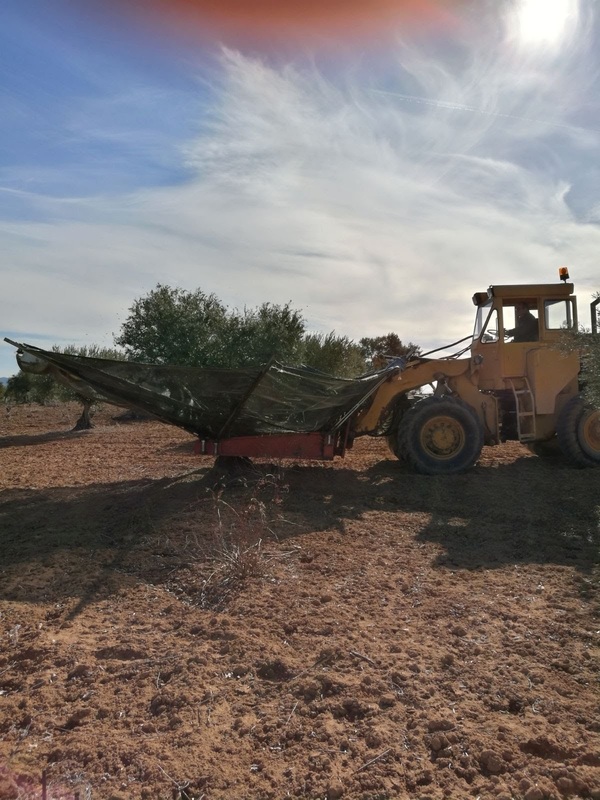 As you can see in these pictures, they are working with a front harvesting equipment (maybe, rear harvesting equipment are more uncomfortable for a long working day). 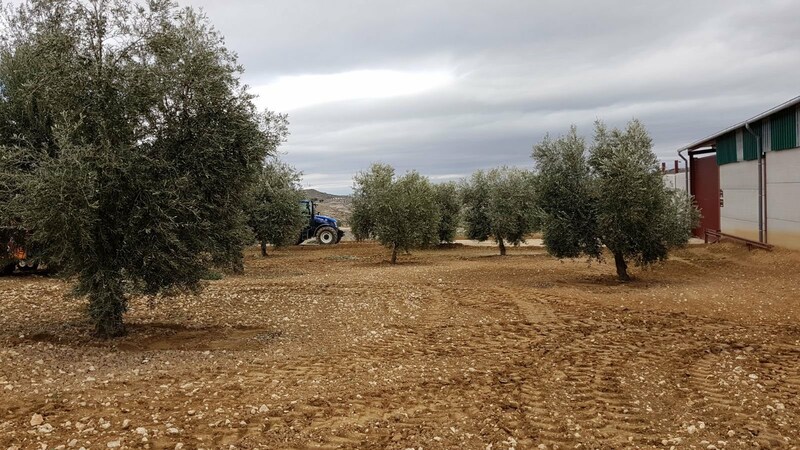 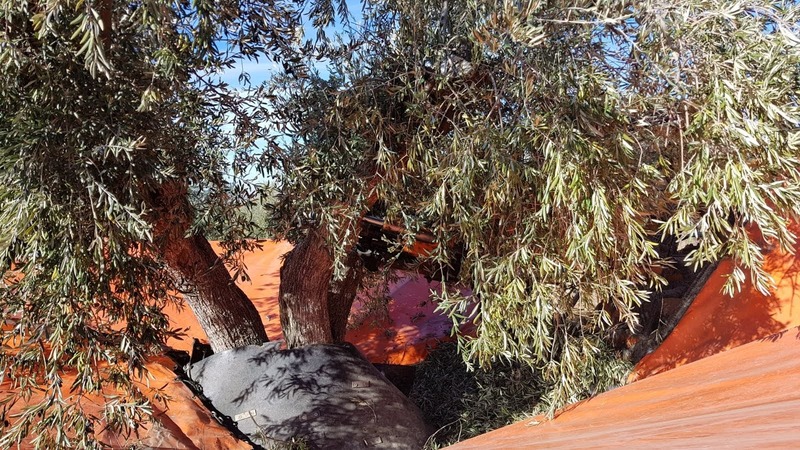 As Miguel Ángel told us, he can work about 150 olive trees (old olive trees with few stems) during a working day of 8 hours (he charges 60€/h). 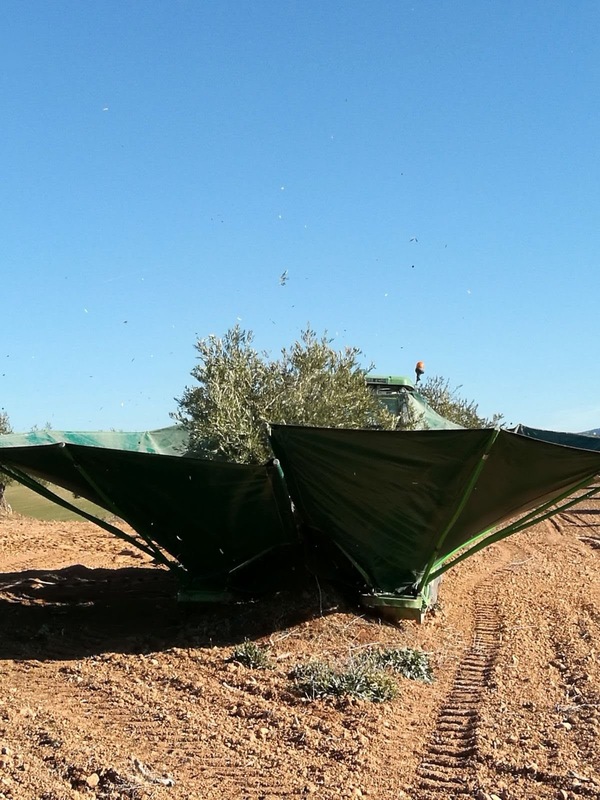 Also, as you can see in our video, vibrations have to do on all stem of the olive tree. 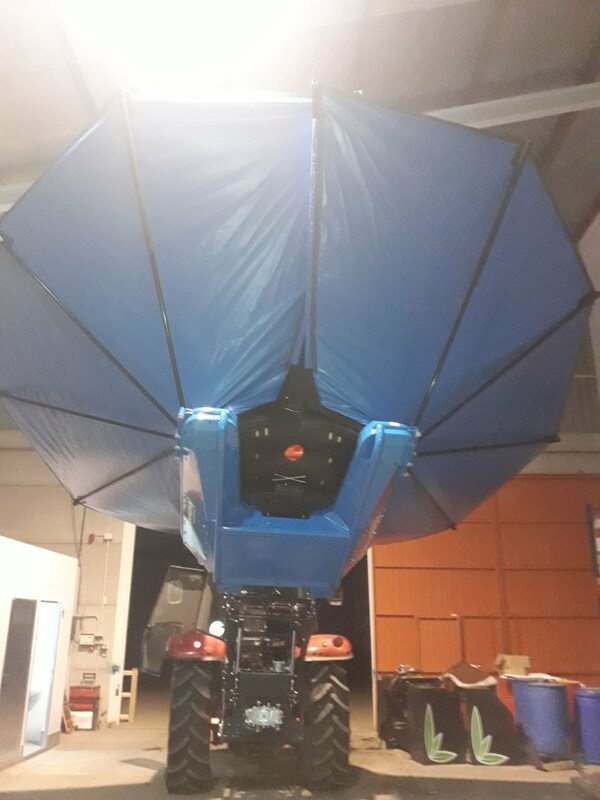 The configuration of these vibrations is of 10-15 seconds in twice or three times. 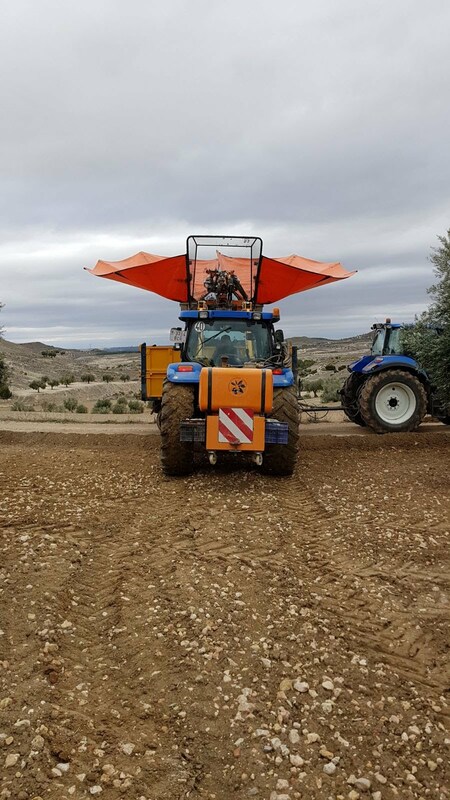 Sometimes, he has problems to work from the tractor's seat so he has a remote control to work on ground. 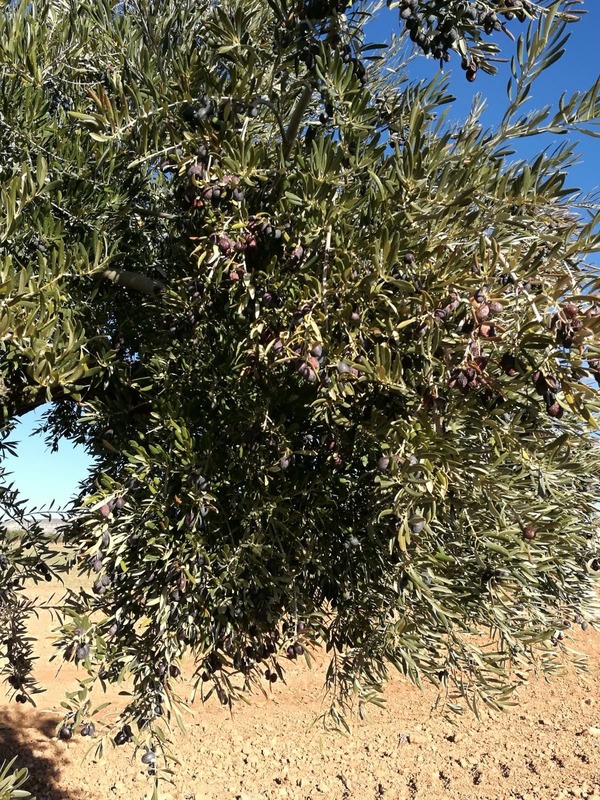 They are old olive trees that generate about 12kg/tree of olive with a fatty performance about 25%. 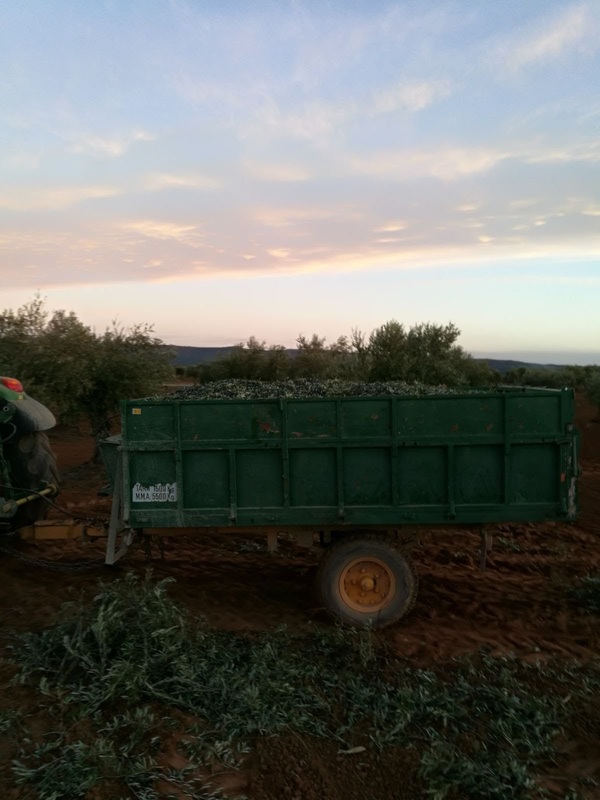 The most common variety are Cornicabra and Picual (their harvesting tasks are usually easier than other varieties). 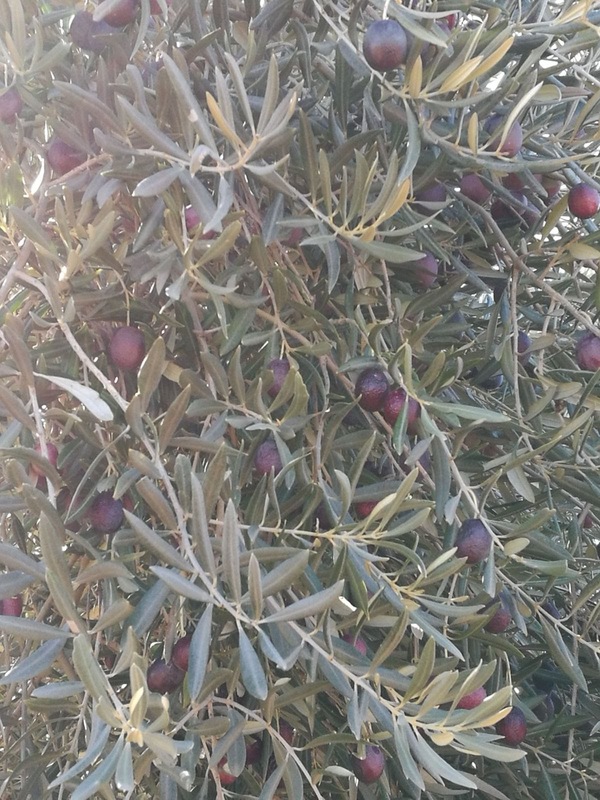 For example, the Arbequina variety is much harder and needs more vibrations to fall. 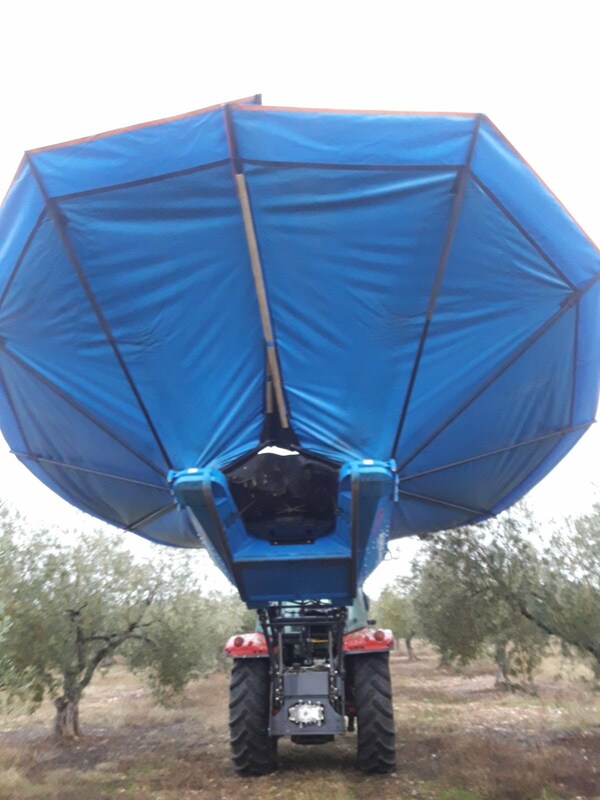 The harvesting tool has a diameter of 7 meter so he can use rods to fall some olives at the same time. 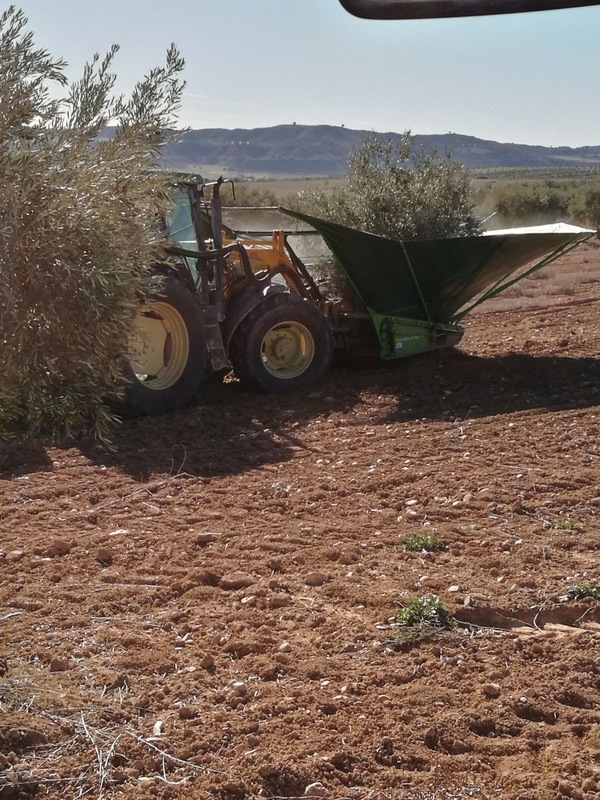 Harvesting tool of 8 meters of diameter are not so practical for this task. 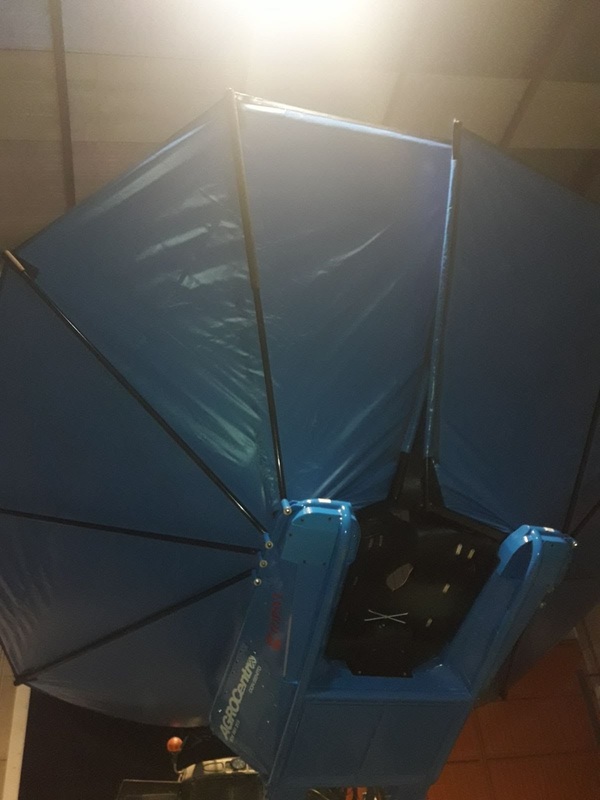 This tool is made of aluminium (it is another important feature) so it is lighter. 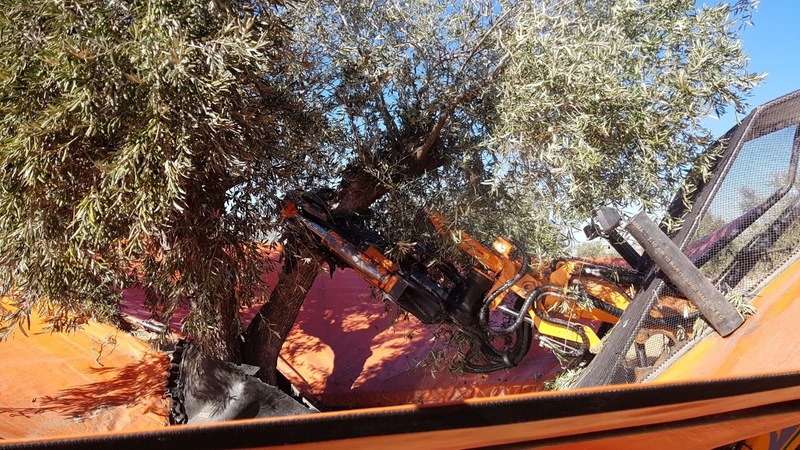 The front axle of tractor has to hold a big weight (weight of tool and about 400kg of olives). 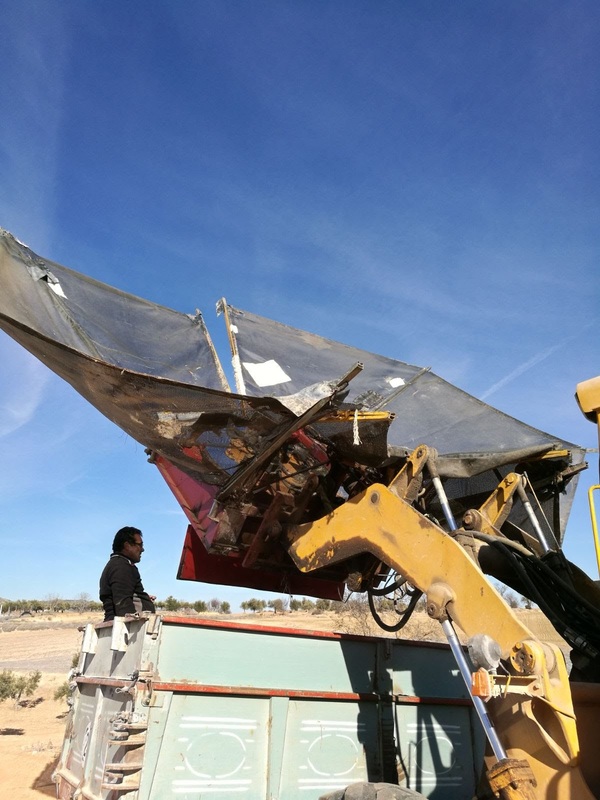 Aluminium is very resistant, although it is more complicated to repair if it has a hits (iron is easier to be repaired). 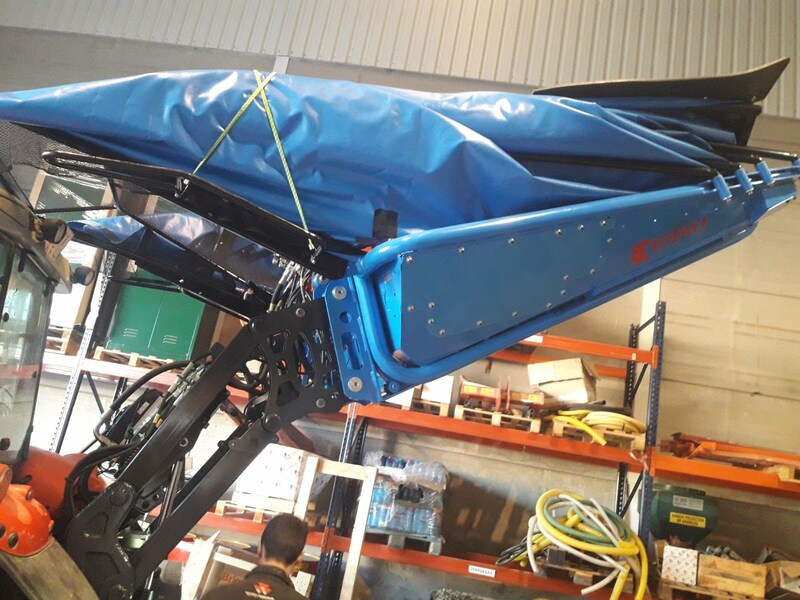 Finally, the plier is really configurable and it allows them to work with stems of 40cm or 50cm diameter (normally 40cm diameter). 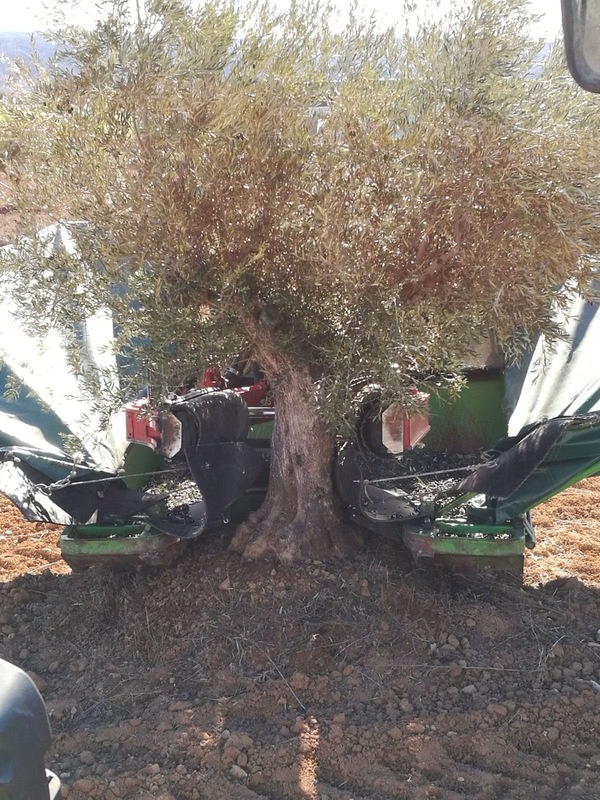 The tightening pressure is also configurable because when you work with young trees, the tightening pressure muss be soft to protect the stems. 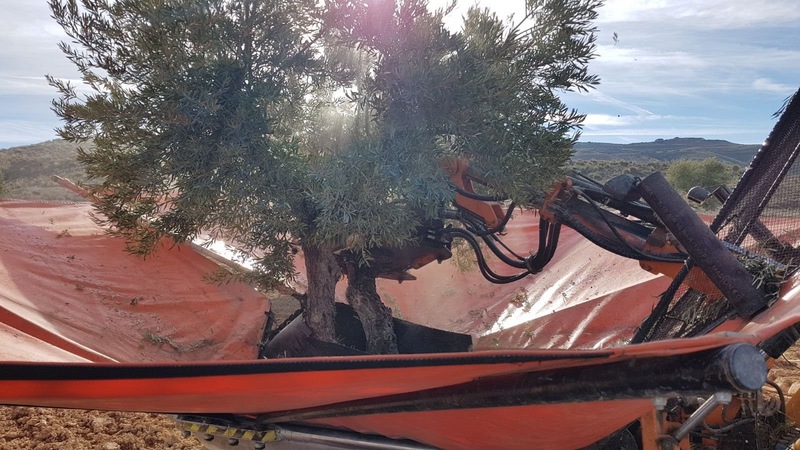 In addition, the pillows used by the plier are also adapted to the type of tree which he is going to work with. 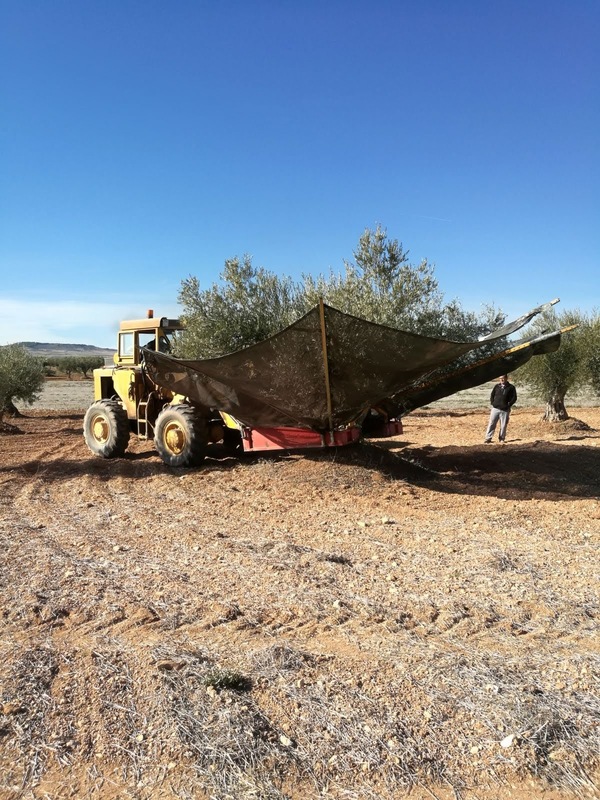 As you know, it is an ideal tool for olive harvesting tasks in different conditions of fields or trees.